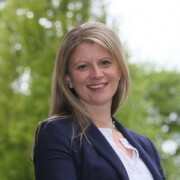 Kate Davies is a Fertility Nurse Consultant and Coach. Having worked in the field of fertility within the NHS for over 20 years; 5 years ago, and frustrated with the lack of natural fertility support and education for women and couples, Kate decided to ‘go it alone’ and create her practice ‘Your Fertility Journey’. Kate is passionate about promoting natural fertility and educating women and couples on optimising their ability to conceive naturally, to hopefully avoid invasive and expensive IVF treatments. Whilst IVF is necessary for many couples, Kate balances the ‘push in to IVF’ with natural interventions to promote healthy fertility.